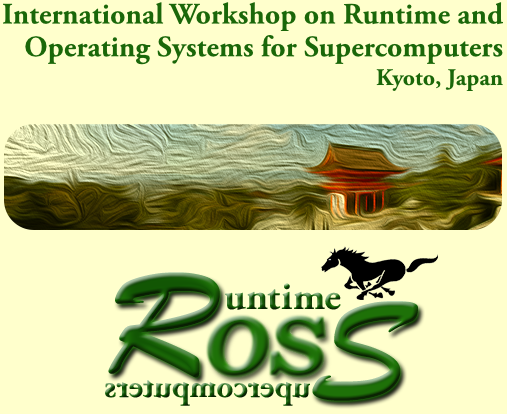 June 3, 2016: The workshop took place in Kyoto, Japan. Congratulations to Feras Daoud and co-authors on receiving the best paper award! Post-workshop materials (slides, proceedings links, pictures) are available on the Program page. May 2, 2016: Preliminary workshop program has been posted. April 29, 2016: The keynote this year will be delivered by Dr. Kenjiro Taura from University of Tokyo, Japan. April 25, 2016: We accepted 6 out of 10 submissions (60% acceptance rate). April 24, 2016: We apologize for the delay in sending out notifications. We expect to be done by end of day on Monday, April 25th. March 19, 2016: The submission website is now closed. We have received 10 papers. March 11, 2016: The deadline has been extended to March 18, 2016.